"I am beyond amazed that they have been able to maintain our current service levels with the budget constraints they have...Such things as heart monitors, vehicle extrication equipment, and the breathing apparatus that firefighters wear into hazardous environments are all in need of replacement. These are not frivolous items or luxury items by any means, and the people who ultimately benefit are us, the citizens. They have done their best to make do with the equipment they have and extend the life of it as best as possible, but eventually these things (and other items) wear out. " "...(I) was surprised at the department’s level of need to serve our community. In my opinion, this is a bare-bones proposal…just enough to continue the excellent service we’re used to and expect. I urge you to support the mil levy increase..."
"Fire protection and emergency services tend to be taken for granted. We assume they will be available and responsive when necessary. Since being on this task force, it is shockingly apparent that this may not always be the case with our TLMFPD unless the community intervenes. After great presentations outlining the difficulties they are facing, in multiple areas, it became a no-brainer to the entire 30-member group that something had to be done to rectify the situation. I am whole-heartedly behin(Id the recommended proposal to increase their MILL levy." 7/11/17 - The results of the TLMFPD Mill Levy Public Opinion survey are now available in the 'Downloads' section at the top of the page. The 'Summary' version is a text document that identifies just the statistical polling questions. In addition to the statistical polling questions, the 'Detail' version is the complete Powerpoint presentation presented by the District's consultant to the Citizen's Mill Levy Task Force. This presentation includes some public comments as well as analysis by the consultant. 6/28/17 - Representatives of the Citizen's Mill Levy Taskforce make their formal recommendation to the TLMFPD Board of Directors. In addition, the TLMFPD Board votes to make public the results of their community survey, both in summary fashion as well as the formal presentation made to the community. 6/13/17 - At the final meeting of the Citizen's Mill Levy Taskforce the taskforce votes 13-0-1 to recommend a 6.9 mill levy ballot initiative. 5/21/17- Several residents have inquired as to the calculations for determining the proposed mill levy impact of $3.41 per month per $100,000 of market value. Click here to view a page of how the numbers are calculated. 5/18/17 - First Community meeting held last night. Thank you all for your attendance and participation. There were some great questions asked and we will continue to welcome any/all feedback about the issue or organization. It truly is a team effort. Next and last currently scheduled meeting is this Saturday, May 20, at 9:30a at Fire Station 1 on Hwy 105. Community surveys about the issues and organization should start arriving in mailboxes tomorrow. (These surveys were sent to registered voter addresses). PLEASE take the time to respond and let us know your opinions. It means a great deal to us to know what the community expects from its fire protection and emergency medical services organization. Mail surveys should be put in the mail no later than June 5 and the online survey version will be available until June 8. If you do not receive a survey by the middle of next week, please contact us at 719-484-0911. 5/8/17 - Two letters are currently being sent out to the community informing the community of the issues facing the District and a possibility of a November 2017 mill levy ballot question. The first letter is for all registered voters in the District describing the efforts and issues facing the District. The second one to community leaders identifies the same issues and also has the offer to come and speak with local community groups. See Downloads for the specific letters. Both meetings will be at TLMFPD Station #1 at 18650 Hwy 105, Monument which is located on Hwy 105 just west of the railroad overpass. The goal for the CAT for the 2nd meeting was to decide upon a number that they would like to ask the community if it could be supported. That number they decided on was the suggested 6.9 mills. Letters to the community and a survey will be forthcoming to all registered voters within the District. 4/24/17 - The TLMFPD is in the process of evaluating the possibility of asking the community for a mill levy increase in the November 2017 election. Going back to 2015, the District has identified that its long-term finances would need to be addressed as it still had not gained a sufficient recovery since the recession. However, the District wanted to make sure that all available options, other than a mill levy increase, had been exhausted. We are now there. 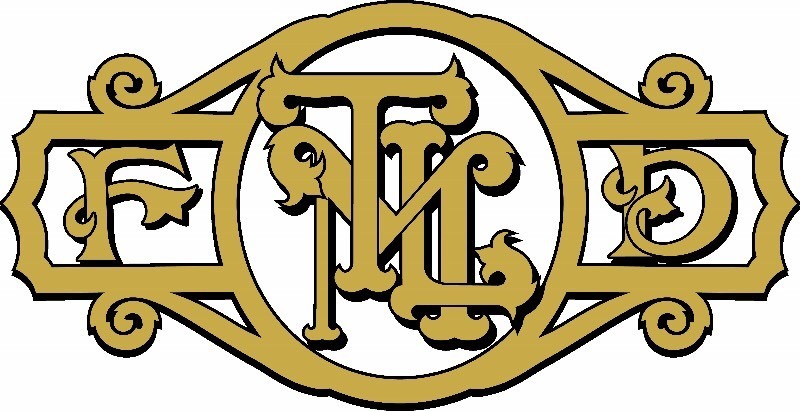 In March of this year, the TLMFPD created a citizen advisory taskforce to help evaluate the situation and what the impact on the community might be, both in terms of service provided and cost. This was the first of 3 scheduled meetings to receive guidance from the taskforce and will followup with two more meetings on April 27 and June 13. After the last meeting, it's currently expected that the taskforce will make a recommendation to the TLMFPD Board of Directors on how to proceed. To the left is a FAQ sheet that the District has put together to help explain the issue. Many of the questions are directly from the taskforce as they help understand the situation. If you have any additional questions, please don't hesitate to contact Fire Chief Chris Truty either by email or by phone, 719-484-0911. We will keep this page updated as we move forward.